Upping the streetstyle game this season is PUMA and Atelier New Regime’s debut collection which has dropped on 6th October. 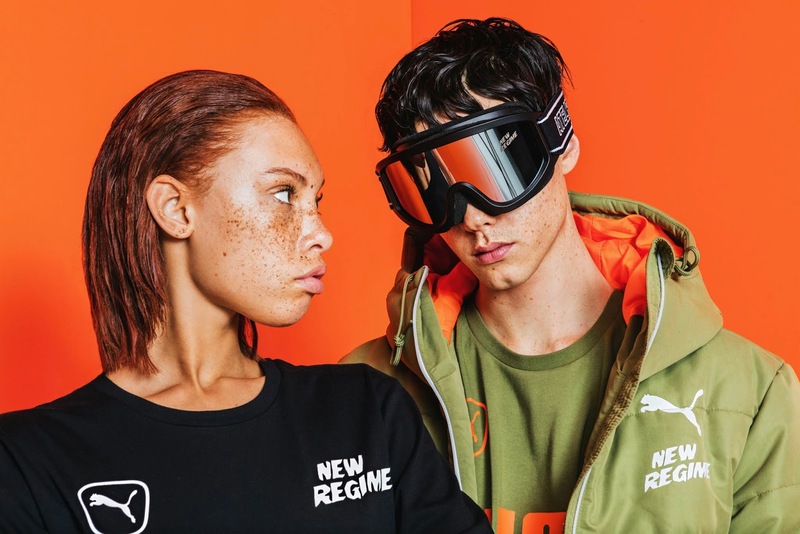 Known for their modern designs influenced by French – English ethnicities of Montreal, the motorsport-inspired collection is adapted into streetwear-ready styles. 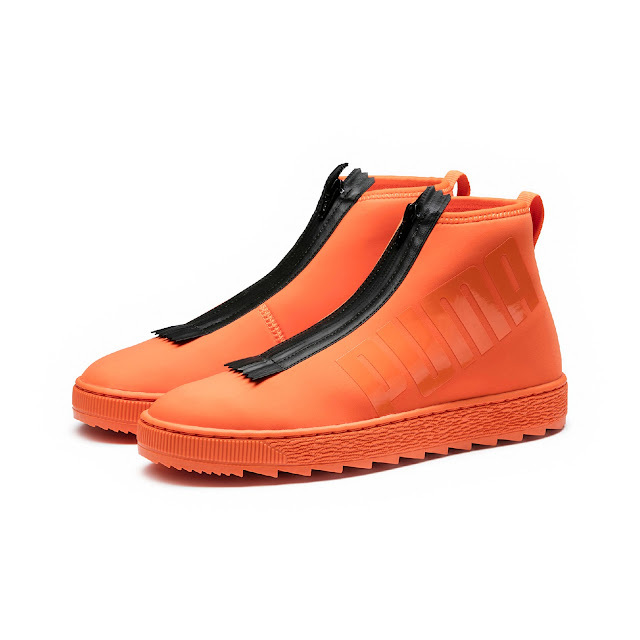 With thoughtfully designed technical detailing, it features ANR’s signature bright orange with a modern, polished aesthetic. For their debut collection, Atelier New Regime elevates seasonal staples by lending their design influence to a range of PUMA styles - from the classic Suede and Court Platform to the Basket Boot and TSUGI Jun. Characterised with rugged outsoles, reflective pullers and large rubberised logos, the collection tactfully blends the technical details of sports with street-ready styles. Ruling the pack is the Basket Boot ANR. Built with tonal neoprene upper, a waterproof branded zipper on the forefoot and rugged outsole, it drops in scarlet Ibis and PUMA Black colourways. Completing the look book is a range of apparel picks with motorsport-inspired cut lines and oversized logo prints. 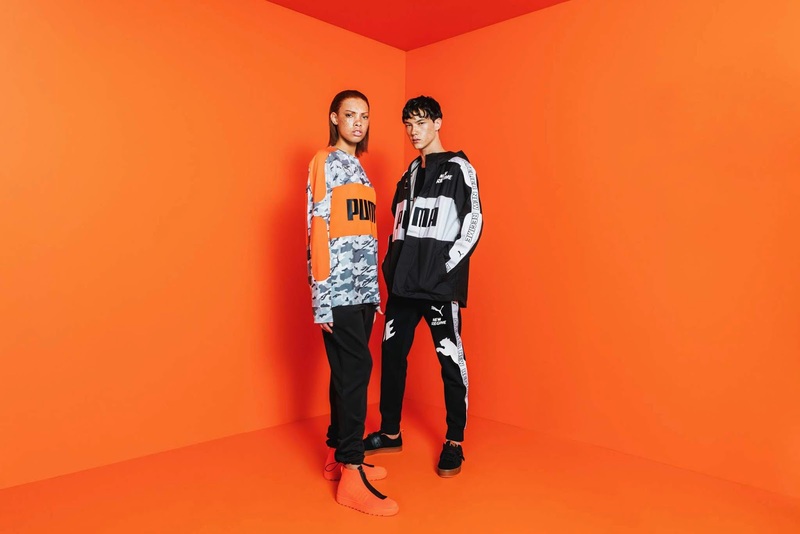 The PUMA x ANR Pants with cargo pocket and PUMA x ANR Jacket with printed logo tape on the side seam is a must-have for motorsport enthusiasts. The exclusive PUMA x ANR collection is available at PUMA SELECT and selected retailers.